Open Studio is pleased to offer private printmaking instruction. A private class is perfect for those interested in learning a specific technique, who learn better in a one-on-one scenario, or who are unable to participate in our regular education program due to scheduling constraints. Open Studio’s one-on-one teaching scenarios are arranged by the Technical Director to provide customized learning outside of regularly scheduled classes. A qualified instructor is paired with the student based on the learner’s desired outcomes. A one-on-one scenario is often the best option for artists to acquire the knowledge and experience needed to further their practice or execute a project; however if you are looking to accomplish a project requiring specific expertise or have limited time to master the skills needed to realize a project, you may want to consider our Custom Printing Program instead. If you’re looking to bring in a group, please take a look at our Studio Tours & Demos options. Private instruction sessions are organized on an as-needed basis. Private instruction sessions are scheduled with the learner based on their needs. Private instruction sessions are dependent on studio/instructor availability. Sessions are scheduled for a minimum period of fours hours, at a cost of $60/hour. The cost of materials is extra and the instructor can offer recommendations. A 50% deposit is required to begin the scheduled session. agreed upon supervised time frame. If you have any inquiries or would like to start the process of getting a private instruction estimate, please email the Technical Director or call 416-504-8238 for more information. Are you looking for details about our custom printing program? 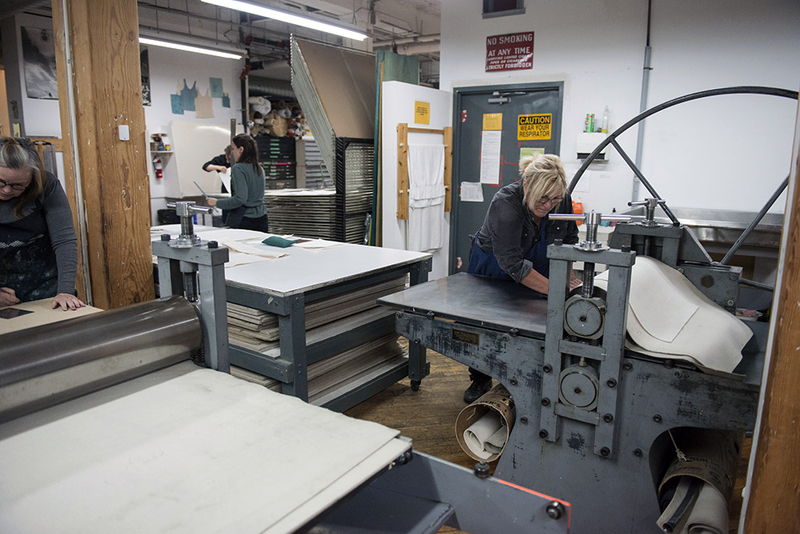 Open Studio works with artists and galleries to realize custom printing projects on a case-by-case basis. In consultation with our Technical Director, we can help determine the best means to carry out your project, click here for more details.